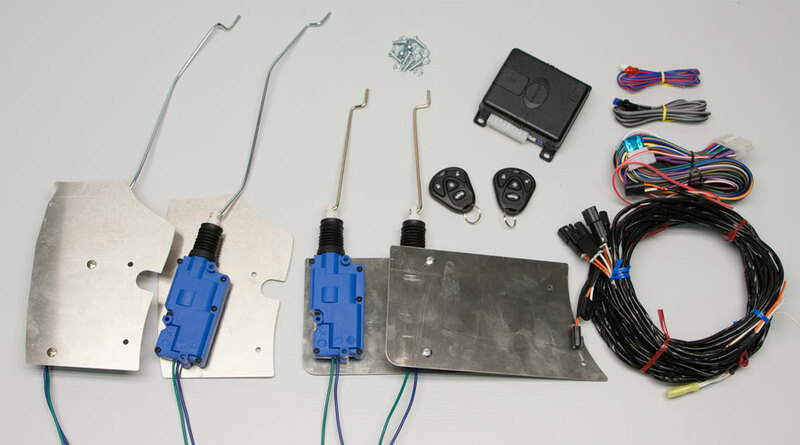 custom wiring harness with quick disconnects for the doors, and an Avital remote controlled keyless entry system. Don't do this to your Jeep! 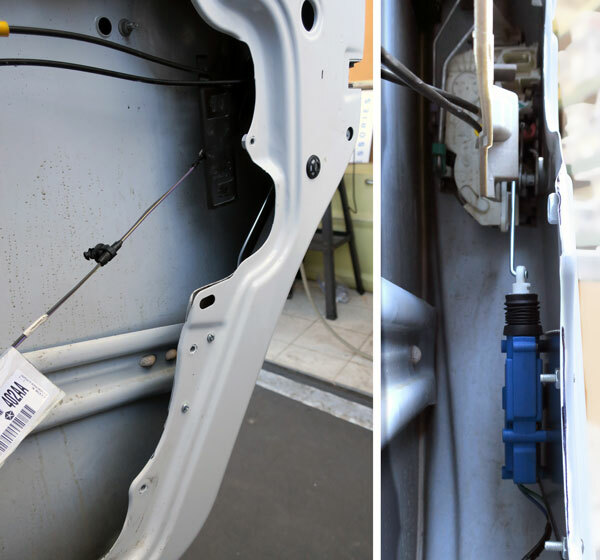 This door lock installation was done with another "custom" Jeep door lock installation kit. 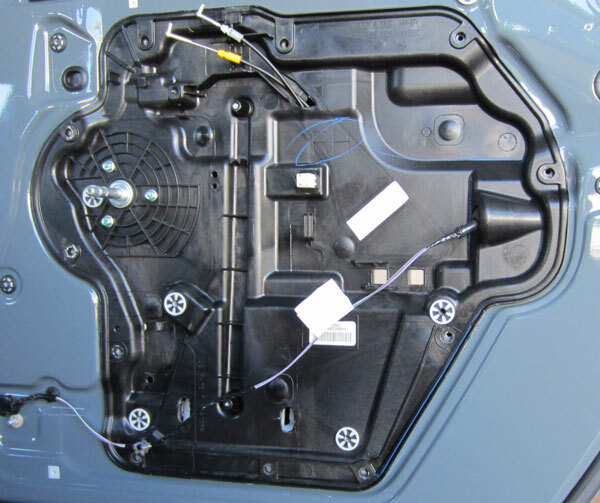 The installer hacked a huge hole in each carrier panel in order to "custom" mount the actuators. Not only is there irreperable damage done to the doors and their integrity. The actuators are still mounted at 30 degree angle to the lock linkage. That translates into a short life and broken cables. specifically for the Wrangler from A1 Electric. The install starts by removing the door panels. Next the inner carrier panel is removed. 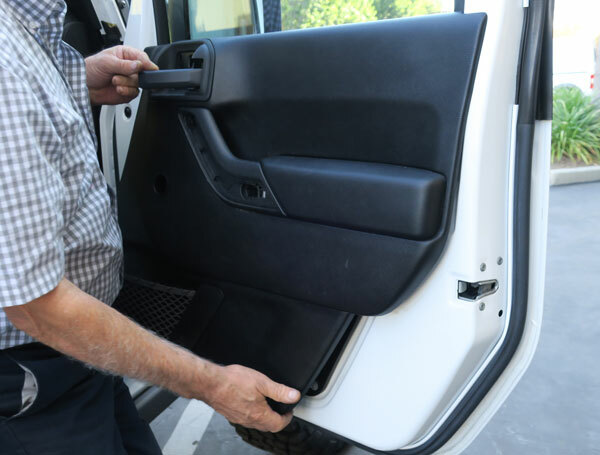 Our customers tell us that removing the door panels and carrier panels is the toughest part of the job. 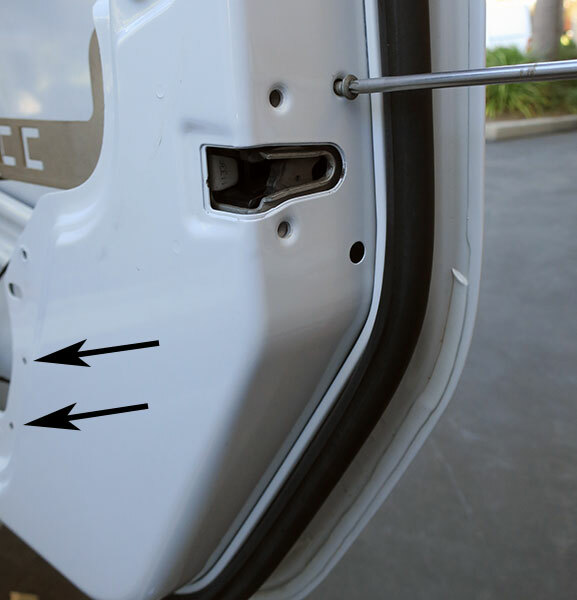 Using supplied templates, the mounting holes are drilled into the door (black arrows). The latch mounting screws are then removed allowing the latch to be more easily accessed. The pre-formed linkage rod is attached to the latch and the latch is bolted back into the door. 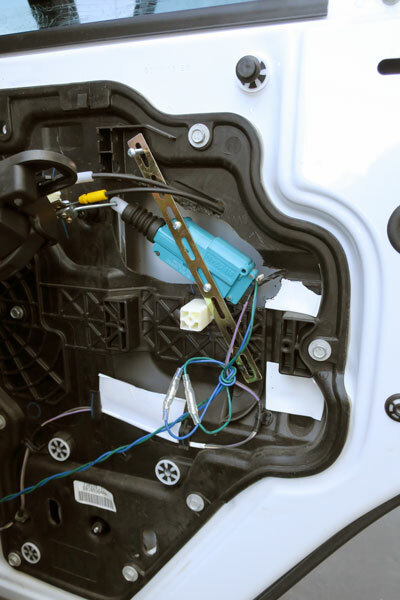 The door lock actuator is bolted into the door. 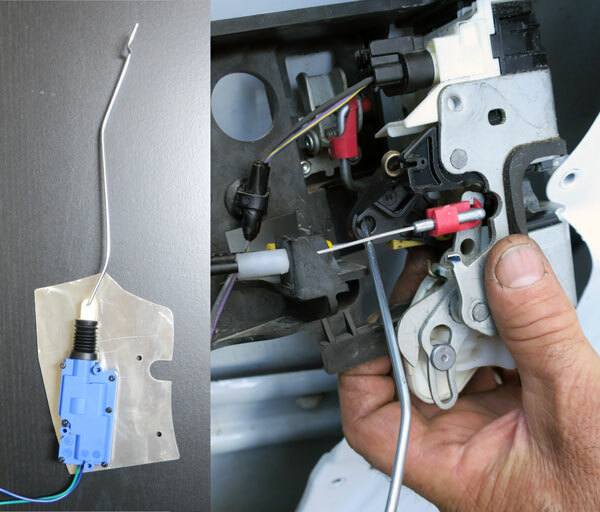 The keyless entry module goes under the left side of the dash and the wiring harness is run under the dash and into doors. A high quality quick disconnect is provided for each door. 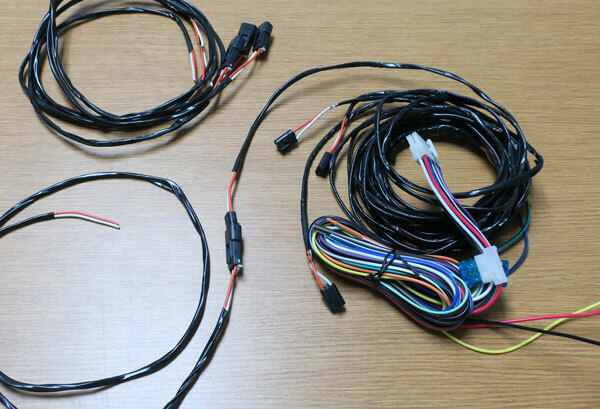 For a basic install, connect constant power, ignition power and ground to keyless entry harness. The basic system will lock and unlock the doors with the remote controls and has a auto lock feature that locks the doors when the Jeep is turned on and unlocks the doors when the key is turned off. The keyless entry also has options like flashing lights, dome light delay and horn honk for panic mode.